Hier nog een video van de LF-A. De LF-A is opnieuw gesignaleerd en de auto ziet er rijper dan ooit uit voor productie. Volgens de blog van Paul Horrel van Top Gear komt Lexus volgend jaar met een compact in de modellen reeks. Deze compact zou het antwoord van Lexus moeten zijn op de Audi A3 en de BMW 1-serie. Op deze blog wordt geclaimd dat wij tijdens de aankomende show te Frankfurt al een conceptmodel van de compact te zien gaan krijgen. Het grote nieuws is dat deze auto alleen leverbaar wordt als hybride en speciaal wordt ontworpen voor de Europese markt. Het platform van de auto is nog steeds gebaseerd op de Prius. De auto zou geenszins op de Prius of de HS250h moeten gaan lijken. Ook zal de auto veel betere prestaties leveren dan de Prius. Volgens Edmunds hebben zij inside informatie dat op de Tokyo motor show (eind oktober) een productie versie van de Lexus LF-A zal debuteren. Dit debuut zal samen met een auto zijn welke voortvloeit uit de samenwerking tussen Subaru en Toyota, gebaseerd op de Imprezza WRX, en een aantal nieuwe hybrides. 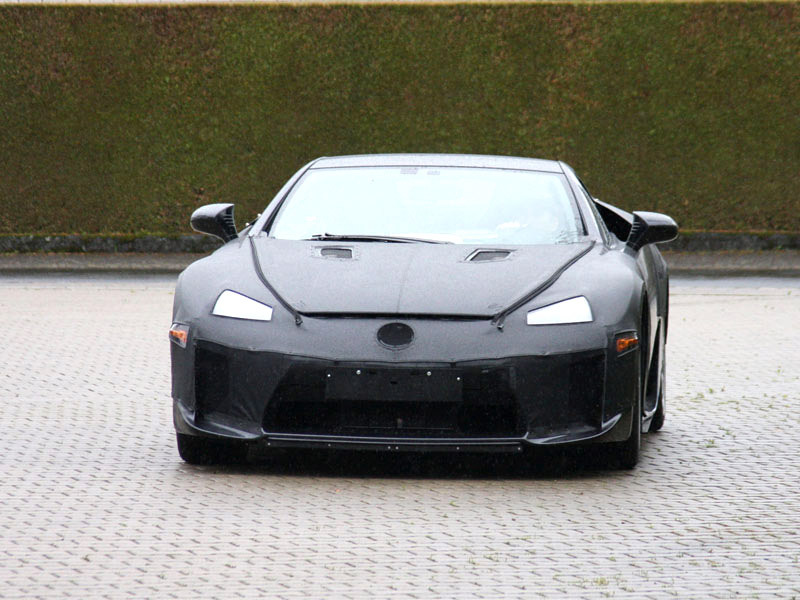 De Lexus LF-A krijgt waarschijnlijk een 600pk sterke motor welke een top snelheid van 350km/h zou moeten halen en de auto net boven de 3 seconden naar de 100 trekt. De Lexus HS250h is geintroduceerd op de Detroit motorshow. Zoals Lexus al eerder liet weten, wordt de auto aangedreven door de 2.4l 4 cilinder motor en een electromotor welke samen 187PK genereren. Helaas wist Autoweek al eerder te melden dat deze niet naar Nederland zal komen. Selecteer deze link voor het hele artikel met de foto’s en de press release. 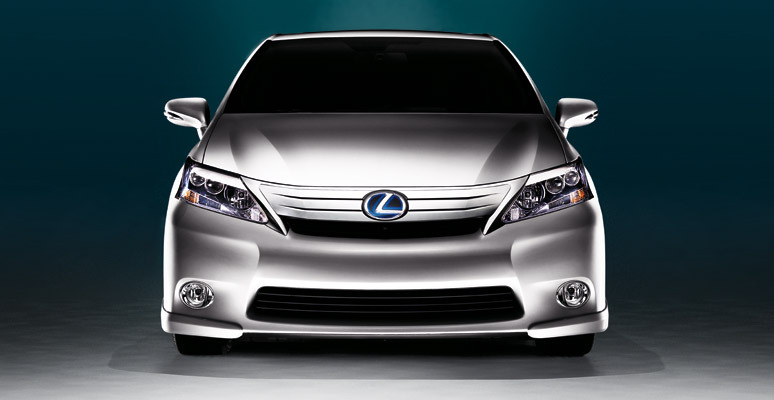 DETROIT (Jan. 11, 2009) – Lexus today revealed the 2010 HS 250h, the world’s first dedicated luxury hybrid vehicle, at the North American International Auto Show. 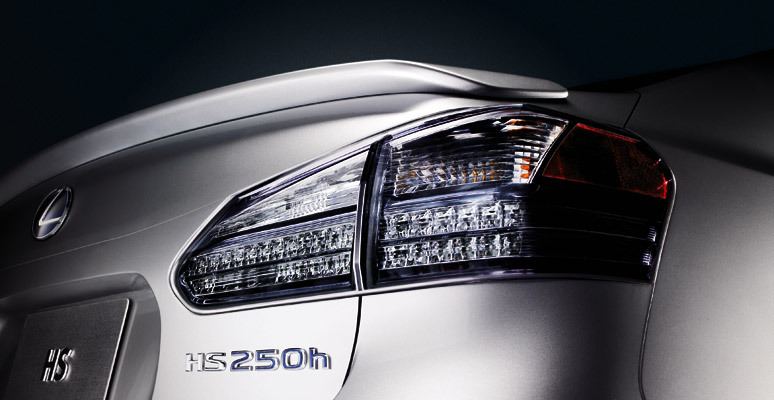 The HS 250h will be Lexus’ fourth hybrid and the most fuel-efficient vehicle in its lineup. 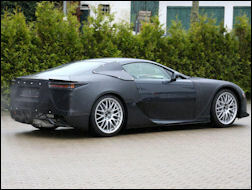 It also will be the first Lexus to utilize carbon-neutral cological Plastic materials in a new futuristic cockpit and interior design. A welcomed addition to Lexus’ entry-luxury sedan lineup, the HS 250h fits nicely between the IS luxury sport sedan and the ES luxury sedan. Research has shown that more than 60 percent of entry-luxury car buyers would have considered a hybrid if available, and the HS will provide these consumers with a viable purchase option. Equipped with Lexus’ first four-cylinder gas engine, the 2.4-liter Atkinson-cycle powerplant is part of the latest Lexus Hybrid Drive System, which generates 187 total system horsepower. The highly efficient Atkinson-cycle engine, made possible by the Variable Valve Timing with intelligence (VVT-i) system, allows the expansion/power stroke to be longer than the compression stroke so that combustion energy can be more effectively used for production of engine power. The HS 250h sedan’s expected fuel efficiency will be more than 30-percent better than the most fuel-efficient model currently in the Lexus lineup, while earning a SULEV emissions rating utilizing regular 87-octane gasoline. Among the technologies adopted in the 2.4-liter four-cylinder engine are cooling piston oil jets; an optimized balance shaft rate for improved Noise, Vibration and Harshness (NVH) characteristics; and a hot-air venting system mounted behind the radiator. Like the all-new 2010 RX 450h hybrid utility vehicle that made its debut in November, the HS 250h will include a new system designed to improve efficiency. The exhaust heat recovery system reduces engine warm-up time, thus allowing it to stop earlier, more often, and for longer periods. A windshield with infrared-ray (IR) reduction properties, which helps keep the interior more cool, has been adopted in order to decrease the amount of air conditioning needed to lower the cabin temperature. 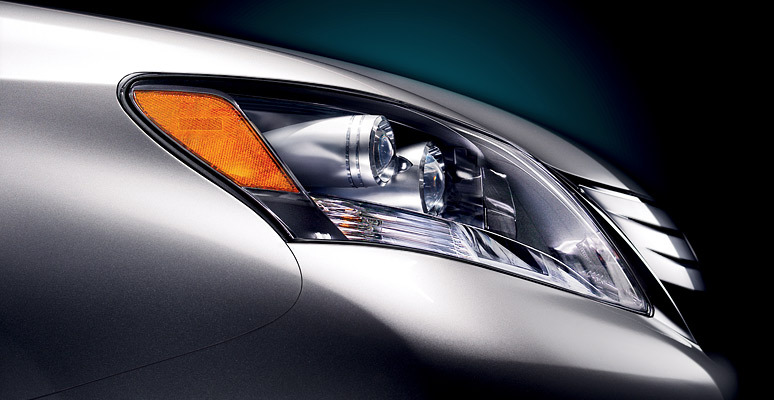 In addition to the exhaust heat recovery system and the IR windshield, available power-saving LED headlamps also contribute to improved fuel efficiency and emissions. 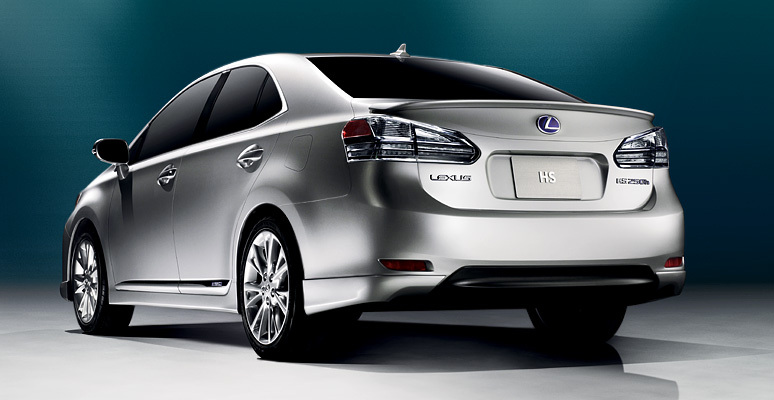 The all-new HS 250h sedan’s 0.27 drag coefficient (Cd) makes it among the most aerodynamic in its class. Airflow management over the exterior, below the under floor and through the air passages was extensively examined. A unique gull-wing-shaped roof-panel design reduces mass and overall vehicle height, thus reducing drag and improving fuel efficiency. 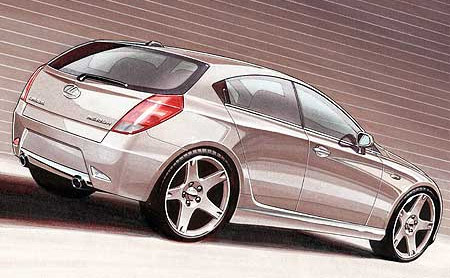 The front spoiler, rear spoiler, rear under spoiler, and diffuser fins all reduce turbulence. Smooth A-pillar shape and the optimized angle and curvature of the bumper side panels also reduce wake turbulence, as does the increased taper of the fender side panels. The under-floor covers have been optimally positioned for reduced drag, while airflow restriction in the engine compartment has been lowered by optimizing the air-duct profiles around the radiator. Aerodynamic design has also contributed to decreased wind noise. A smoother transition between windshield (complete with a sound-insulating inner layer) and roof line has improved air flow and reduced turbulence. As is appropriate for the first dedicated luxury hybrid vehicle, the HS 250h includes proactive adoption of plantbased, carbon-neutral “Ecological Plastics” or bio-plastics in specific interior areas. Ecological Plastic emits less carbon dioxide during a product’s lifecycle than plastic made solely from petroleum. Among the areas of utilization will be an industry-first use in luggage-trim upholstery. 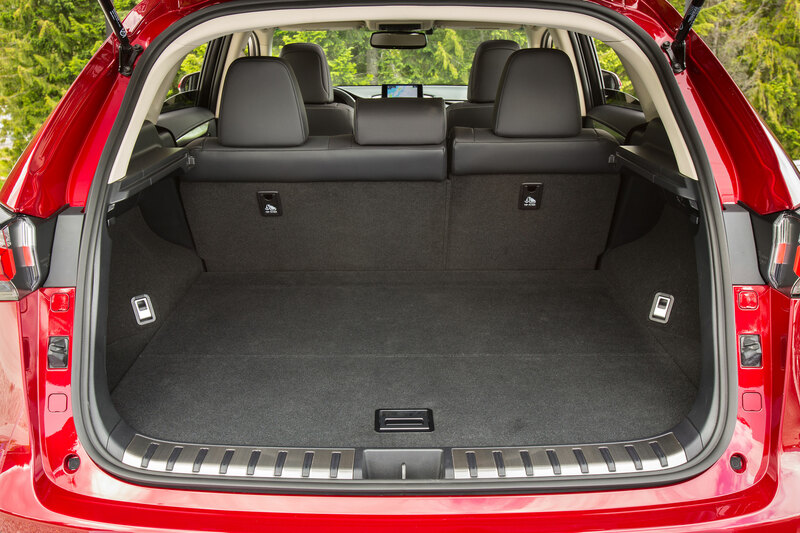 Other areas are the cowl-side trim, door scuff plate, tool box area, floor-finish plate, seat cushions, and the package tray behind the rear seats. Overall, approximately 30-percent of the interior and luggage area is covered with Ecological Plastic. Over the estimated lifecycle of the vehicle, the HS 250h will have approximately 20-percent fewer carbon-dioxide emissions as a result of utilizing the Ecological Plastic trim pieces. 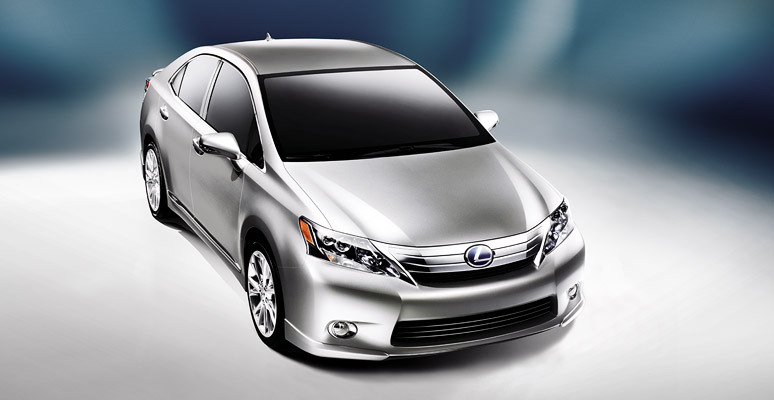 Like all Lexus hybrid models, significant time was spent in developing the HS 250h with optimized NVH characteristics. Dynamic dampers at each engine-mounting point reduce noise and vibration, resonators improve intake air noise, and optimized exhaust flow reduces exhaust sound. Special coatings dampen both engine and road noise, while improved seals around doors, hood and fenders reduce wind-noise penetration into the cabin. Vibration has been reduced by improving the shape and thickness of the suspension-mounting points. In addition, power-window speed controllers have been adopted from the LS luxury sedan, which insure a slower, soft closing rate. 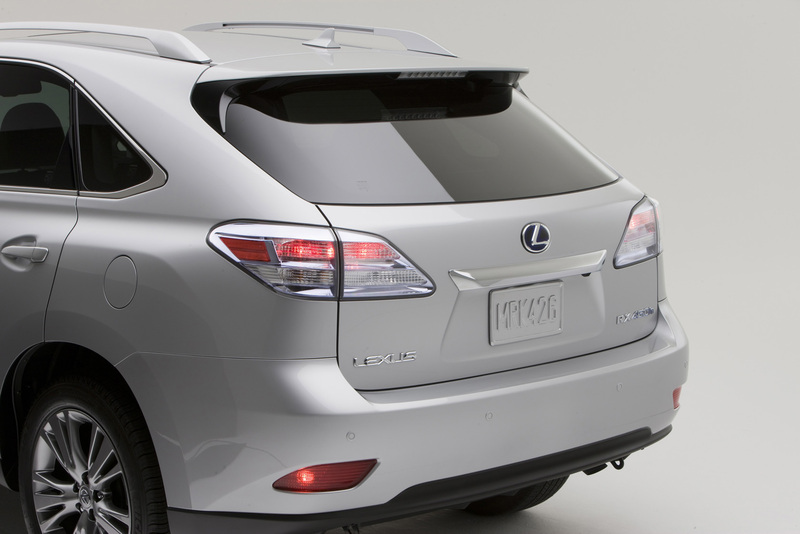 The HS 250h chassis design provides an outstanding ride and comfort with the decreased NVH required by a Lexus hybrid. The MacPherson strut front suspension is designed to achieve both straight-line and braking control, and a positive steering feel. A double-wishbone rear suspension provides excellent maneuverability, control and comfort with a low spring mount that contributes to better packaging and superior cargo space. 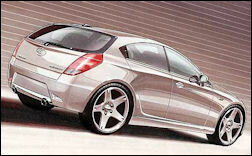 Coil springs, antiroll bars and shock-absorber rebound springs are utilized front and rear. The HS 250h will have uniquely designed standard 17- and optional 18-inch wheels. The rack-and-pinion steering system utilizes a brushless Electric Power Steering (EPS) motor on the steering column, which provides improved steering feel, a reduction in harsh feedback, and better emissions by not draining engine power like conventional hydraulic systems. The EPS is an integral part of an available lane keep assist system, a new driver assist that adds smooth steering torque to help the vehicle stay in the center of the lane. The amount of assisted torque is dependant on a lanemarker detection camera. It includes a lane departure warning feature that is designed to detect possible lane departure; it then gives the driver an audible warning and provides feedback via the steering wheel to encourage corrective action. The HS is slightly longer than the IS and is taller than both the IS and ES. It also has a greater couple distance (distance hip to hip between front and rear passengers) than any other vehicle in its class other than the ES. 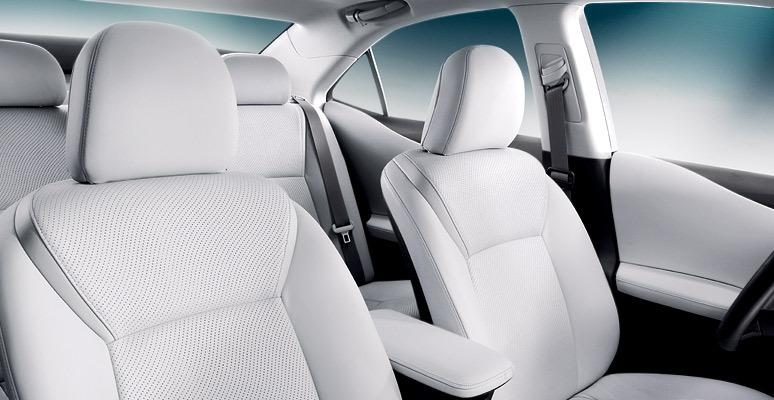 The contoured front-seat backs also add to increased rear-seat legroom. The HS features a unique advanced cockpit and an interior design that emphasizes innovation and craftsmanship. 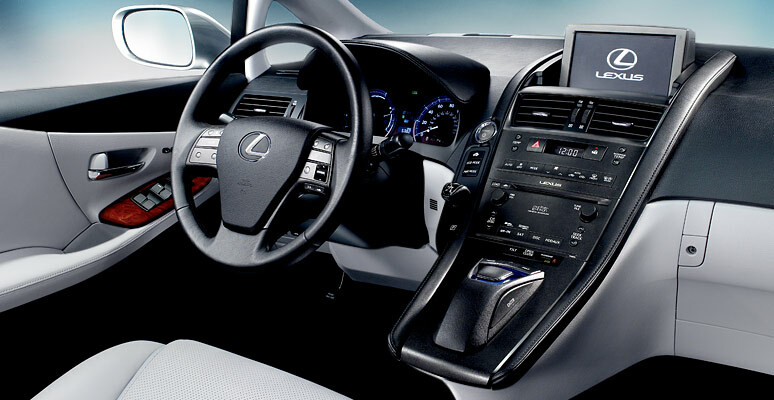 The uniquely stylish cabin has standard leather-trim seats, a moonroof, Lexus premium audio systems, and a new standard multi-media package. The media features include Bluetooth® technology, integrated satellite radio (subscription required), voice recognition, and USB iPod connectivity controlled via steering-wheel controls or a display screen. A high-contrast multi-information display, located in the instrument panel’s hybrid system indicator gauge, is controlled via steering-wheel-mounted controls, allowing the driver to easily control various functions and information. 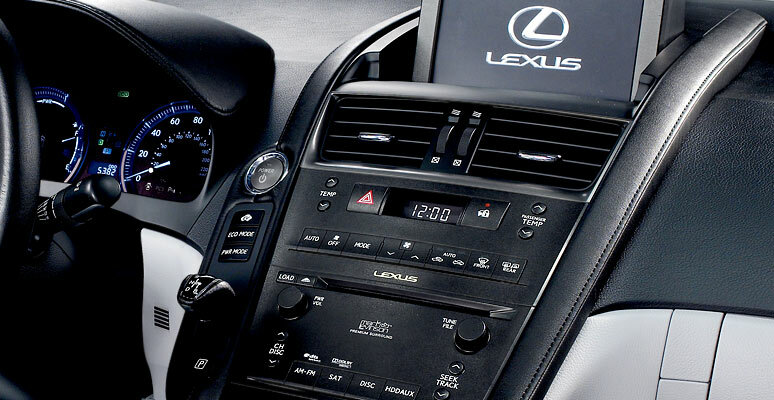 Another key element of the modern interior is Lexus’ new available Hard Disk Drive (HDD) Navigation System, which features a retractable navigation screen that is positioned well back and up front in the dash. The positioning helps improve visibility and reduce driver eye movement. Similar to the new RX, the HS system features the all-new “Remote Touch” controller that is both intuitive and ergonomic and allows for easy use of the Navigation System. 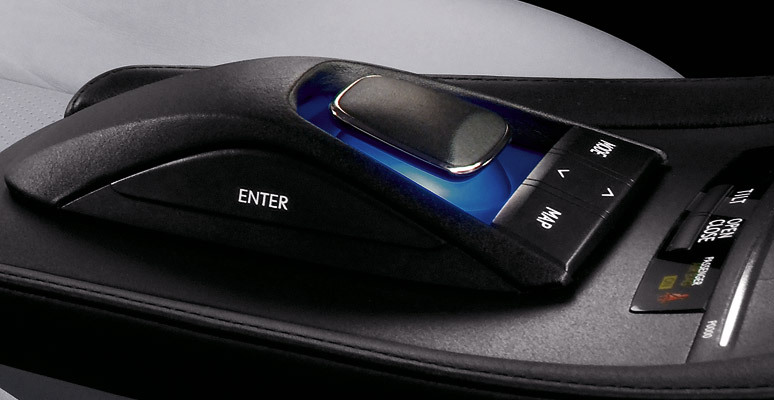 The controller is positioned on the center console and is as natural to the driver’s hand as a computer mouse. It can also be customized to the desired level of haptic feedback. The Navigation System also includes a new casual-speech voice recognition feature. This allows drivers to give more flexible, conversational commands for easier access and control of the audio, climate and navigation functions. Also included are XM® NavTraffic® and NavWeatherTM, along with XM Sports and Stock information. Also helping to reduce driver eye movement is an optional Heads-up Display (HUD). The HUD uses high-intensity LEDs to make the display bright enough to be read even in direct sunlight. A class-leading 10 airbags will be standard on the all-new HS 250h as well as active front head rests, which help passengers in case of certain types of rear-end accidents. The HS also will feature Lexus’ Vehicle Stability Control (VSC) system and optional Pre-Collision System with Dynamic Radar Cruise Control. An available wide-view front monitor helps the driver to check hard-to-see areas. Using a camera mounted in the front grille, the monitor provides a 190-degree front view on the Navigation screen with the push of a button on the steering wheel. The HS 250h will also offer Lexus’ next generation telematics systems, Lexus Enform and Safety Connect. Safety Connect will provide automatic collision notification, stolen vehicle location, 24/7 emergency and roadside assistance. Lexus Enform’s Destination Assist features operators who will help drivers look up points of interest such as shopping centers or other business locations like Zagat-rated restaurants, and then wirelessly send directions directly to the vehicle’s navigation system. Lexus Enform’s eDestination service will allow customers to pull up multiple points of interest on any computer and send them directly to the car’s navigation system. This innovative new feature will allow drivers to send a total of 200 destinations at a time to their vehicles. The all-new 2010 HS 250h will reach dealerships nationwide in late summer. Lexus heeft bekend gemaakt dat de HS 250h in productie gaat. De auto wordt gepresenteerd op de Detroit Auto Show. Helaas voor Nederlandse geïnteresseerden: de auto komt niet naar ons land. De HS 250h wordt een middelgrote sedan die onder de GS in het gamma komt. De aandrijving wordt verzorgd door een 2,4-liter benzinemotor die wordt bijgestaan door een elektromotor. Diezelfde aandrijflijn is te vinden in de Toyota Camry Hybrid. Volgens de importeur komt de HS 250h niet naar Nederland. Dat is opmerkelijk aangezien de hybridetechnologie gunstig kan zijn met het oog op het bijtellingsregime in ons land. Maar Lexus heeft voor Europa de IS220d om de CO2-uitstoot terug te dringen. 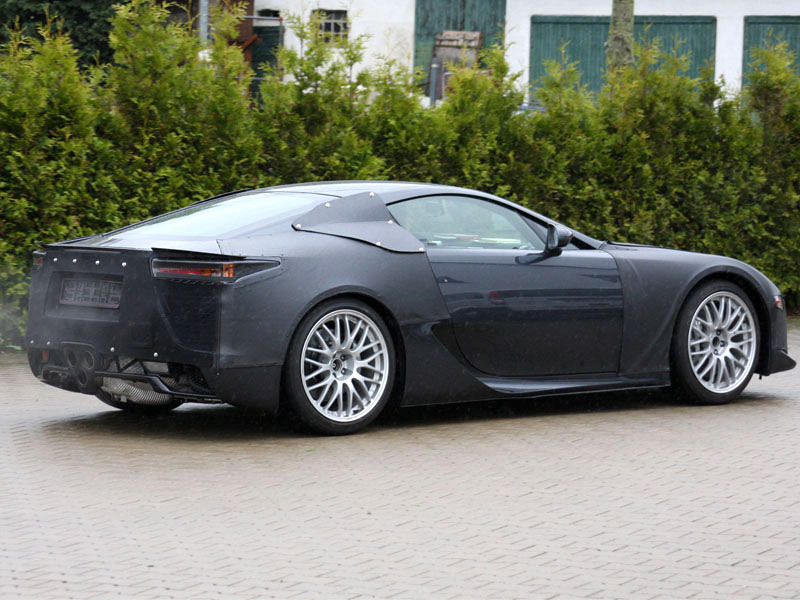 Voor de zwaardere modellen blijft Lexus wel vasthouden aan hybride-aandrijflijnen. Diesels hoeven we van de GS, de LS en de RX niet te verwachten, is ons drie jaar geleden bij de komst van de diesel-IS verteld.